Coach Travis began training Brazilian in June 2011 after his Freshman year of college at Virginia Tech, and hasn’t slowed down since. He received his blue belt (2012) and purple belt (2015) under Tim Mannon, a Renzo Gracie black belt in Blacksburg, VA. Late 2015, he moved to Richmond and trained with Andrew Smith. Finally, he began training under the late Dave “The Rock” Jacobs in the new year of 2017. He ramped up his IBJJF competition regiment, traveling more frequently and competing against some of the best in the world in his category. He was awarded his brown belt late 2018. 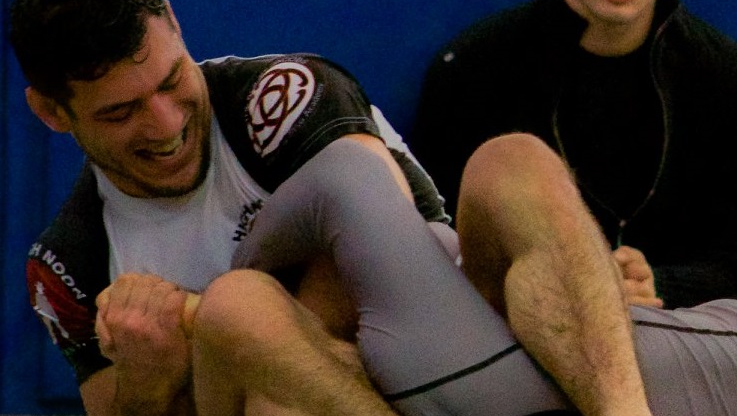 He actively competes in the IBJJF, local tournaments, and promotions across the East Coast and United States. He is a firm believer in using competition to improve your Jiu Jitsu, and hone it to the highest level possible.